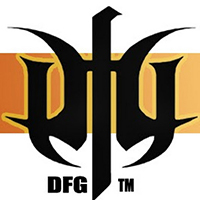 DreamForge-Games manufactures and distributes hard plastic model kits. We produce finely detailed model kits for the science fiction setting, Iron Core. Perfect for hobbyists collectors and gamers. DreamForge Grav-StuG Kickstarter IS NOW LIVE! No Comments on DreamForge Grav-StuG Kickstarter IS NOW LIVE! CLICK HERE I hope to see you there! DreamForge-Games ~Eisenkern Grav-StuG (A plastic model kit) March 25th! No Comments on DreamForge-Games ~Eisenkern Grav-StuG (A plastic model kit) March 25th! INVENTORY BLOW OUT SALE- 40-50% OFF! No Comments on INVENTORY BLOW OUT SALE- 40-50% OFF! No Comments on TWO NEW RELEASES! No Comments on NOW ACCEPTING PRE-ORDERS! DreamForge-Games Releases 13 New Kits! No Comments on DreamForge-Games Releases 13 New Kits!